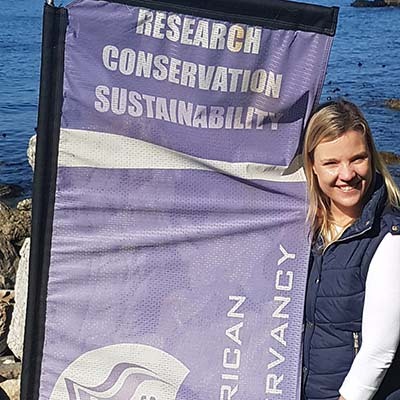 For over 10 years, the South African Shark Conservancy (SASC) has dedicated its efforts to promoting the conservation and sustainable use of living marine resources. During this time we realized just how passionate we are about working with young scientists and conservationists like you. Consequently, we founded the Shark Academy – the skills development and training division of SASC. We work with you to help you develop the skills and tools required to pursue a career in marine science – or simply provide you with a sneak peek into the life of a shark scientist. The overarching goal of our work is to improve conservation and management strategies for these iconic animals. Be a part, join our team and make a positive and long lasting contribution to our research! Research at SASC is focused on biology and ecology, with an emphasis on understanding the role of sharks in ocean ecosystems. We use a combination of field- and lab-based research techniques to study more than 25 species of shark, skate and ray. We employ a holistic, ecosystem-based approach to all our projects, thereby ensuring our work has pragmatic conservation and management outcomes. This volunteer company was founded by scientist, Meaghen McCord, who is passionate about sharing her knowledge and love for sharks and the ocean. She and her team use 20 plus years of shark science and diving experience to provide a unique training experience, all with the aim of getting you up close and personal with Africa’s diverse sharks. I am the Shark Academy Program Administrator. My role as the Administrator is to work alongside the SASC managers to ensure organizational effectiveness and manage the day-to-day operations of the Shark Academy. I focus most of my attention on inquiries and bookings, as well as making sure our clients are happy at all times. I also focus on the smooth running of logistics and administrational duties up and till our clients arrive in South Africa and during their stay. I studied tourism as I always had a passion for travel and learning about people and places. After my studies I worked in the travel industry in London before coming back to South Africa. I then worked as an administrator in the voluntourism industry, and since then I never looked back. 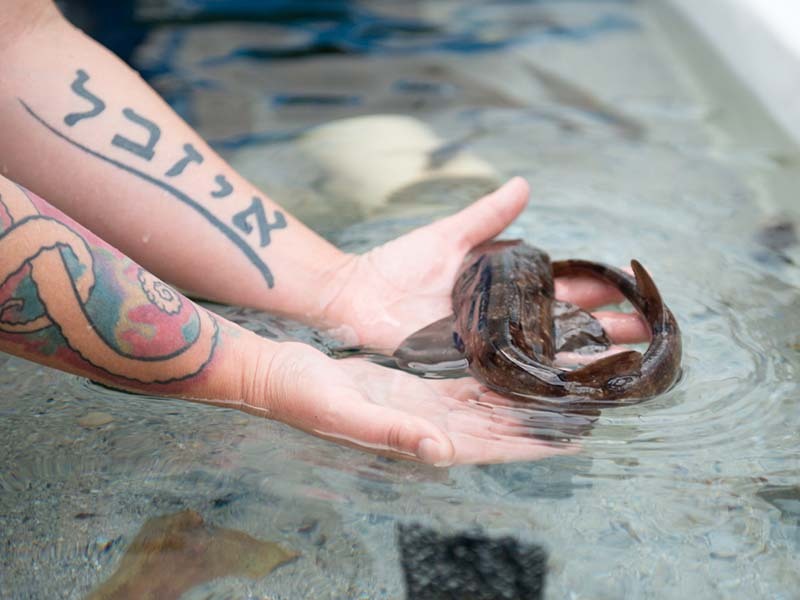 I have a love for working with people as well as marine animals. The beginning of 2013 was a very important point in my life. I had an opportunity to fulfil my true passion for marine life, especially sharks, when I first visited South Africa and began studying great white sharks on a volunteer program. After returning to London, I decided to pursue my Marine Biology studies with Oxford College, and received my qualification later that year. Early in 2014, I came back to South Africa for an internship with the South African Shark Conservancy and, due to my enthusiasm and hard work, I was offered a position on the team. I have been in South Africa ever since and am now the Operations Manager of the SASC team. I am responsible for managing daily research and outreach activities, overseeing the Shark Academy skills development training for interns and volunteers, liaising with stakeholders, and managing our large ecological databases. From a young age I wanted to be extraordinary and realized I could fulfil my dreams and passion by working in a world filled with water. 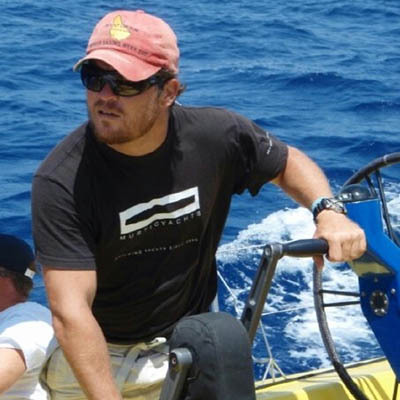 This led me to pursue a career as a professional yachtsman, where I spent 15 years sailing around the world, experiencing everything the ocean had to offer. 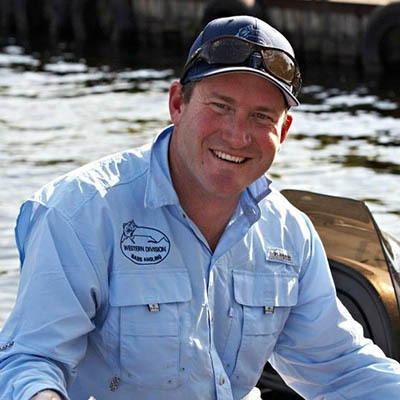 Having learned to swim in the waters of the Western Cape, I had developed a deep love for the area and its marine life and, following some introspection, decided it was time to use my skill set and love for the ocean to benefit research and conservation in my home waters. I joined the SASC team in 2018 and am responsible for overseeing all field-related activities, from safety at sea to research planning to intern and volunteer field training. I am passionate about working with our interns and volunteers, and focus on delivering positive outcomes-based experiences. Meaghen has been studying sharks around the world for the past 20 years. 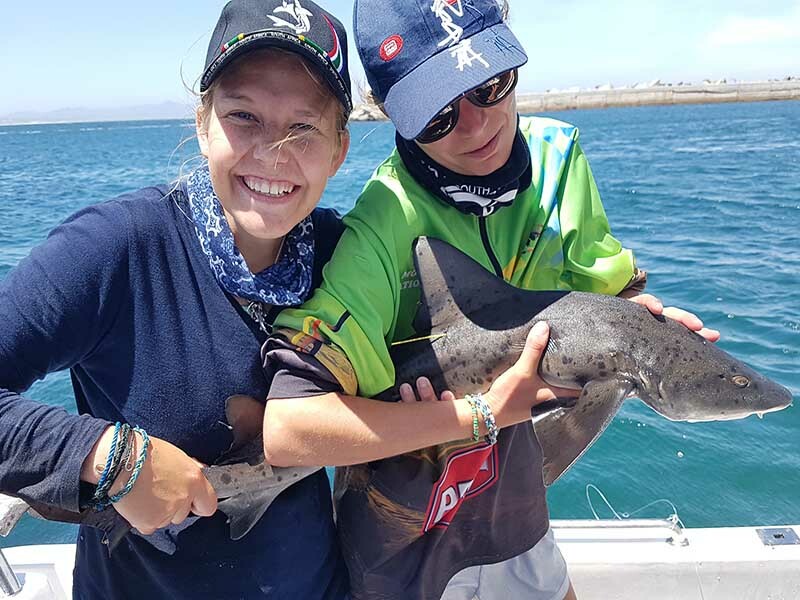 She has a Masters Degree in Fisheries Science, where she specialized in the stock assessment and fishery management of commercially fished sharks in South Africa. 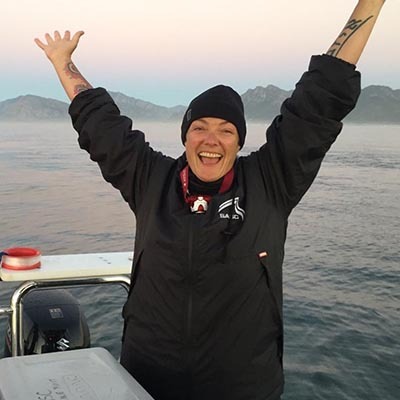 She founded the research and conservation NGO, the South African Shark Conservancy (SASC) in 2007, and currently manages research programs at SASC and oversees the training of early career scientists and conservationists through the Shark Academy. Meaghen has co-authored scientific papers on sharks and serves as a specialist scientist on a number of international committees. 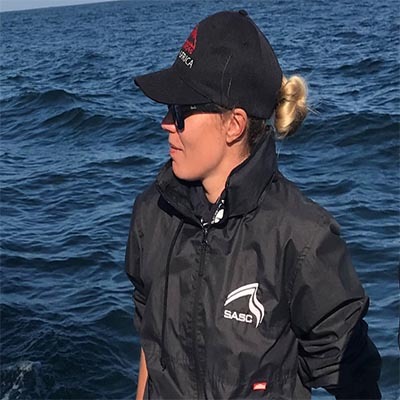 Her expertise in sharks has led her on numerous adventures, and her work has been featured on Animal Planet, BBC Earth, Discovery Channel, Forbes Women Africa, and more. She has also acted as the shark scientist on thrilling expeditions for Land Rover and Discovery Channel. Meaghen’s desire to share sharks with the world in a unique, responsible and interactive way, led her to start The Shark Company in 2018. I was born and raised in Zimbabwe (Rhodesia) where I spent most of my childhood in various National Parks around the country. After school, I moved to South Africa to study at Rhodes University where my passion for the outdoors and water led me to an MSc. Degree in Ichthyology and Fisheries Science. Since then I have worked in various aquaculture-related positions and consulted on a broad range of fisheries projects in African countries such as Tanzania, Zambia, Zimbabwe and South Africa. I eventually found myself in Hermanus where I joined the SASC team, initially as the Field Operations Manager and most recently as the Shark Academy Program Manager. It is great to be part of such a motivated team of people and I really enjoy spending time with the interns and volunteers from around the world who come to experience all that SASC and the Shark Academy has to offer. You will find our research lab on the shoreline of Walker Bay – the heart of the Cape Whale Coast Hope Spot. We are at the center of a global shark diversity hotspot, with more than 60 species of shark, skate, ray and chimaera. The Shark Lab is a fully functional wet lab comprising in-house shark research facilities. It also contains an education center, as well as staff and student offices. The Shark Lab has a flow-through saltwater system and houses endemic sharks which are used for research and education purposes. Help identify critical shark habitats. Receive live updates from our research team. Name your shark and receive ongoing data on your adopted shark. Be a shark hero today. Help us spend more time in the field studying your shark of choice. Training at the Shark Academy emphasizes lab and field work. Get hands on experience with sharks within your first week. Become an indispensable part of our team and a key member of our research operations by the end of your stay. Find out more about your experience here. Find inspiration. If you are struggling to decide whether a career in marine science is for you, no worries. Your time here will provide you with excellent insight into life as a marine and shark scientist. We’re dedicated and passionate about marine conservation and can’t wait to share our knowledge with you! If you are looking for a great adventure, we will help you get face-to-face with sharks. Our 2-week volunteer package and shark diving courses are designed for those who are just plain passionate about sharks! ARE YOU STILL NOT SURE IF THE SHARK ACADEMY IS FOR YOU? Your time with us is packed with education and adventure. The Shark Academy will be an experience you never forget. We help you develop the skills and tools you need to kickstart a career in marine science and conservation. In the lab and in the field. With over 60 shark species reported in Walker Bay, our Shark Lab lies at the heart of some of the sharkiest waters in the world. Throughout and beyond your stay, we give professional guidance and mentorship by our qualified team of scientists and specialists. Finding a job in marine science is challenging. Our extensive network in the field and globally respected research can increase your chances of finding a placement.